A McDonnel Douglas F-4E Phantom II sits on the ramp during the 2004 Reno National Championship Air Racer at Stead Field in Nevada. Over 5000 of the twin engine, tandem seat, mach 2 fighters were originally built starting in 1961 for the United States Navy and Air Force. The aircraft was also exported to Australia, Egypt, Germany, Greece, Iran, Israel, Japan, South Korea, Spain, Turkey, and the United Kingdom. 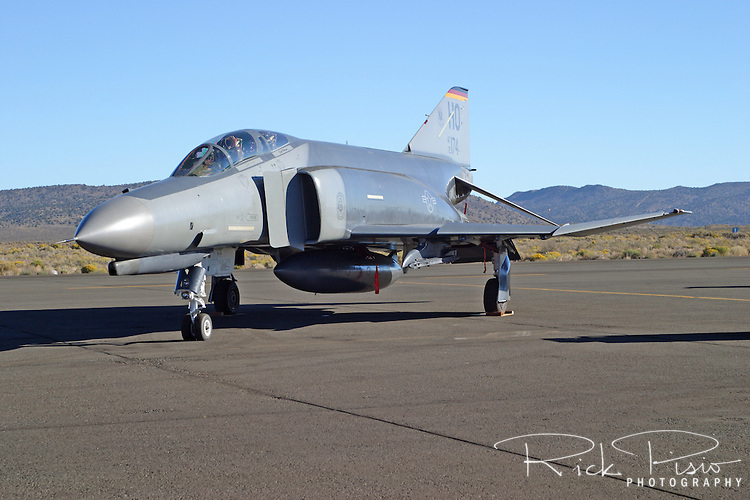 The United States retired its last Phantom in 1996 and export countries are the only operators of the aircraft type. Though the aircraft pictured is in U.S. markings it is actually a German aircraft flown by German Air Force pilots for training.